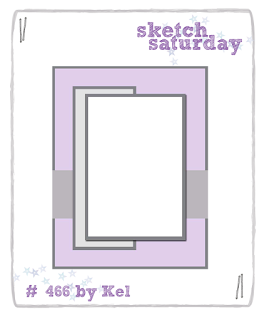 This week the Sketch Saturday challenge is sponsored by AMB Illustrations. They are offering one lucky winner a fab digi prize! And the image is from the Christmas Reindeer set. Day 30 of the Daily Marker challenge Sept 2017! I went for something a bit different on this card, using die-cuts given to me by a friend. Did it work? Day 29 of the daily marker 30 day challenge Sept 2017. I thought the image was a good one for an anniversary card. What do you think? Day 28 of the daily marker 30 day challenge Sept 2017. I thought this image was so cute and the sentiment went with it nicely. Day 27 of the Daily Marker challenge Sept 2017. Paddington Bear is a childhood memory for me- I haven't seen the more recent movies etc. Day 26 of the daily marker challenge Sept 2017. I found this cute baby boy image to use for day 25 of the daily marker challenge Sept 2017. This last gnome has to be one of my favourites!! DigiStamp Boutique released a really cute scandi-style Christmas gnome set in August. Day 21 of the Daily Marker 30 day challenge for Sept 2017 and I am using one of the images. 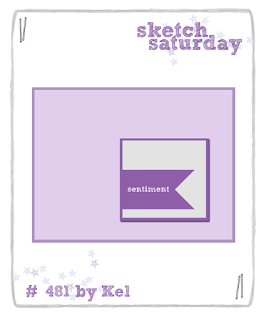 I really like using the sets from DigiStamp Boutique where you can build up your own 'picture' from little images. These are two cards I made from the fun penguins set that was released in July. Days 19 and 20 of the daily marker challenge Sept 2017. A beautiful peacock in purple tones today for day 17 of the daily marker challenge Sept 2017. Another DigiStamp Boutique image. I used Winter Flamingos on my card. Day 16 of the Daily Marker challenge September 2017! More parrots today! Love these images from DigiStamp Boutique! Day 15 of The Daily marker 30 Day challenge Sept 2017. As you might have guessed, I like bright and colourful things! This card uses a DigiStamp Boutique image. Day 14 of the Daily Marker challenge Sept 2017! Day 13 of The Daily Marker challenge Sept 2017 and I am using the other image from the DigiStamp Boutique flamingos set. I made a bright and cheeky birthday card using a recent DigiStamp Boutique release for Clare. Day 12 of the Daily Marker Challenge Sept 2017! I know a couple of people 'expecting' soon(ish) and so thought I'd best make a new baby card or two (expect more cards in the coming weeks!) This one uses a DigiStamp Boutique image. Day 11 of the Daily Marker challenge Sept 2017! Another type of card that it is good to have in stock is a 'get well soon' one. I used my last and so had to make another. The image is from DigiStamp Boutique. Day 10 of the Daily Marker challenge Sept 2017! Monster Batch of Christmas Cards! In July DigiStamp Boutique released a Family Christmas Banner set of images. I made three cards- one with each image. Aren't they cute? I think my favourite are the teddies.... what's yours? Days 7, 8 and 9 of the Daily Marker challenge September 2017! A lot of the customers at Bentley Heath Country Market are quite partial to 'initial cards' (ie cards which feature the initial of the recipient). We had a producer who used to draw them but she sadly left to do bigger and better things at the start of the year. I was asked at the beginning of the month to make two cards- one 'I' for a little girl who likes prams and one 'M' for a little boy who likes tractors. I don't often draw by hand myself (usually use stamps or digi stamps), but I was up for the challenge. Day five and six of the Daily Marker challenge for September 2017! 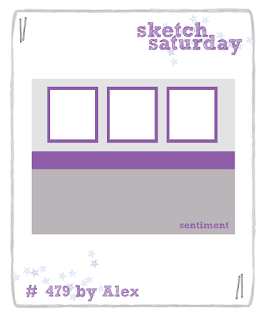 A July release from Digi Stamp Boutique. Isn't it a cutie? Day 4 of the Daily Marker challenge Sept 2017! It's been exam result season the last few weeks and I love this Digi Stamp Boutique Graduation Monster image for congrats cards. Day 3 of the Daily Marker challenge for September 2017! One lucky winner will get either two single digi images or 2 card topper digi sets. I used Snail home on my card. Day 2 of the daily Marker challenge Sept 2017! Day one of the Daily Marker challenge for September 2017!